A bar or bat mitzvah is something a Jewish child really looks forward to. But is a large-class setting right for every child? Meet Hannah who, like so many others, was able to celebrate this important Jewish milestone thanks to Gateways’ innovative Bar/Bat Mitzvah Program. June 13 of this year a very special event took place at the Marriott in Newton, Massachusetts. 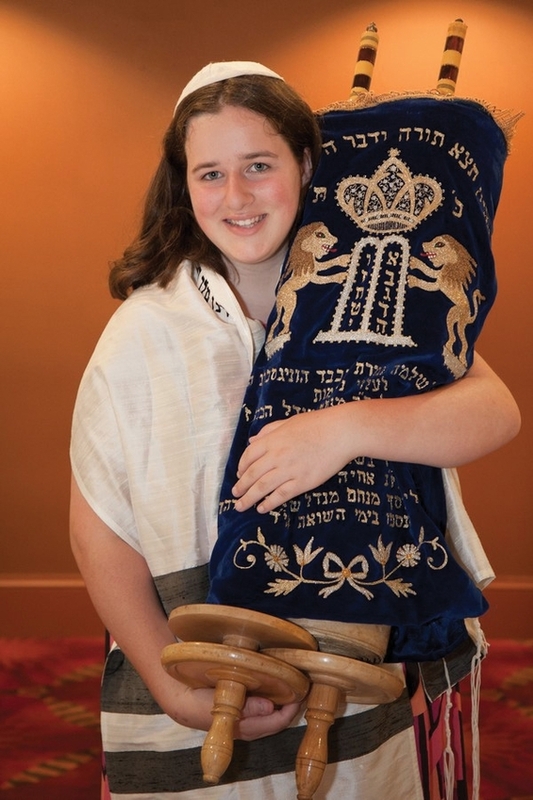 Hannah Trombly was certainly not the first area teenager to have her bat mitzvah there, but that day was the culmination of a transformative two-year journey for the Newton eighth-grader. Her mother Amy Trombly, tutor Michelle Gary and Hannah herself all agree: Hannah did not want to join the bar/bat mitzvah class at Gateways: Access to Jewish Education, which provides Jewish learning programs for children with special needs. Like generations of bar and bat mitzvah kids before her, Hannah recited flawlessly the prayers and the Torah portion she’d practiced so many times in class and at home. There are still openings for this fall’s Gateways Bar/Bat Mitzvah Program, which prepares kids with a variety of learning disabilities and other special needs who, like Hannah, would benefit from its small class size and individualized learning plans. The class welcomes students age 11 and up from across Greater Boston, and runs each Thursday afternoon from 4:30-6:00 in Newton. Want to hear more? Contact Jewish Education Programs Coordinator Nancy Mager at nancym@jgateways.org or 617-630-9010, ext. 104.